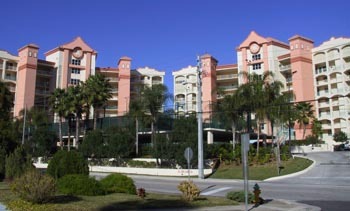 The Oleander Pointe Condominium Association and it's Board of Directors is the owners policy and management group for the operations of the condominium. The Association selected the B. P. Davis Property Management company to provide the detailed management and maintenance of the buildings and grounds at Oleander Pointe. TheAssociation determined that the unique nature of the property and that over 98% of the residents at Oleander are owners warrant a program of continuous improvement and the provision of the highest quality maintenance. The policy of the Association requires that the Board of Directors provide the best long term life cycle cost for the condominium operations with the minimum cost to the owners. This philosophy and the accelerating values of property in Brevard County have resulted in the Oleander Pointe Condominium increasing in value at the highest rate for any similar property in the area. The Board of Directors invites all owners to bring to their attention any areas of concern or questions regarding the operations at Oleander Pointe. The Board has provided two monthly meetings for their specific concerns and to provide information on the condominium. The Monthly Maintenance meeting provides a forum for addressing any maintenance concerns. This meeting discusses all items of the ongoing maintenance of the property and the discussion of any major repair/maintenance projects. The monthly Board of Directors Meeting provides the owners an open forum for the discussing the associations financial status, a summary of the Maintenance meeting and the presentations of special advisory committees (current advisory committees are Beautification, Landscaping, and Parking). The meeting dates are posted on the Association Bulletin Boards and the elevators.